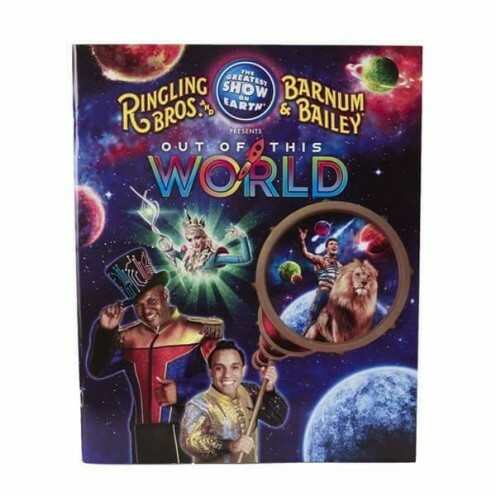 No one really saw it coming; the closing of Ringling Bros. and Barnum & Bailey Circus. 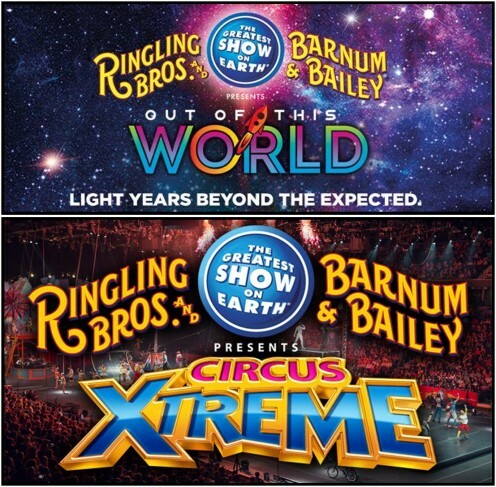 When the surprising announcement came in January of 2017 – that Ringling would cease operations of both the Red and Blue unit traveling shows in May of that year – performers and crew members were thrown for a loop. Close down this incredible circus? This American icon, after 146 years? 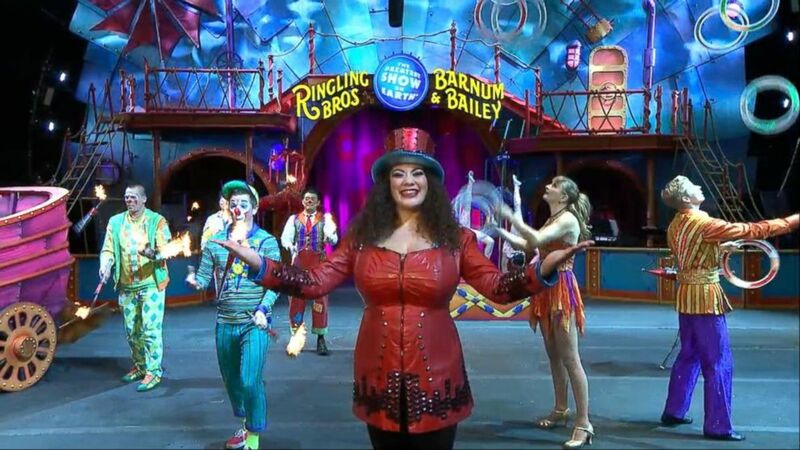 An end to THE Ringling Bros. show, the Greatest Show on Earth? It was a bitter pill to swallow for so many people; performers, workers and former employees, yes, but also for circus audiences in the United States and around the world. Still, the world is changing and life must always move forward. Jobs come and go. Memories of the Ringling Bros. circus are happy ones – life in the “city without a zip code” was incomparable to just about anything else. Here we are, a year after the show closed. I am now receiving updates on jobs and life; information where noted. 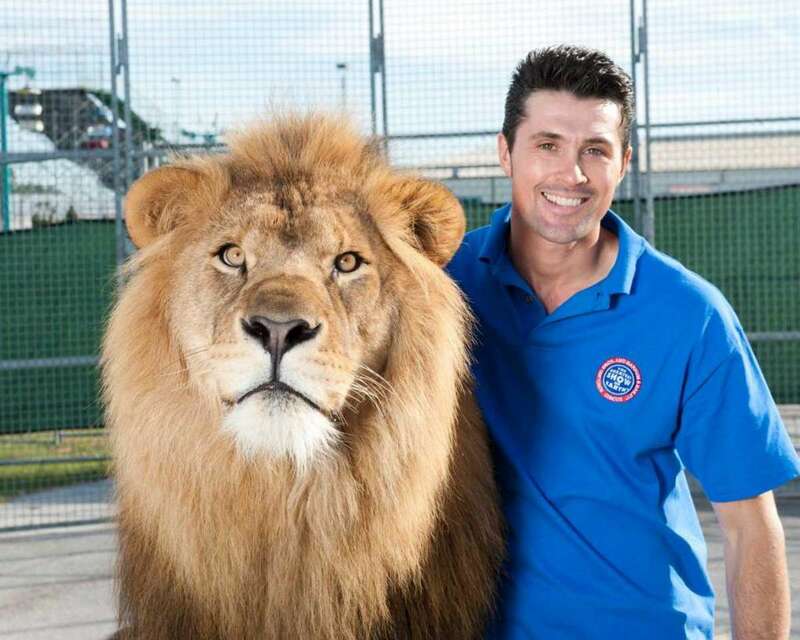 “The big cats are my life and I cannot imagine anything else – ever,” British animal trainer Alexander Lacey told me once again. Alexander Lacey and his feline menagerie arrived in the United States in November of 2011. 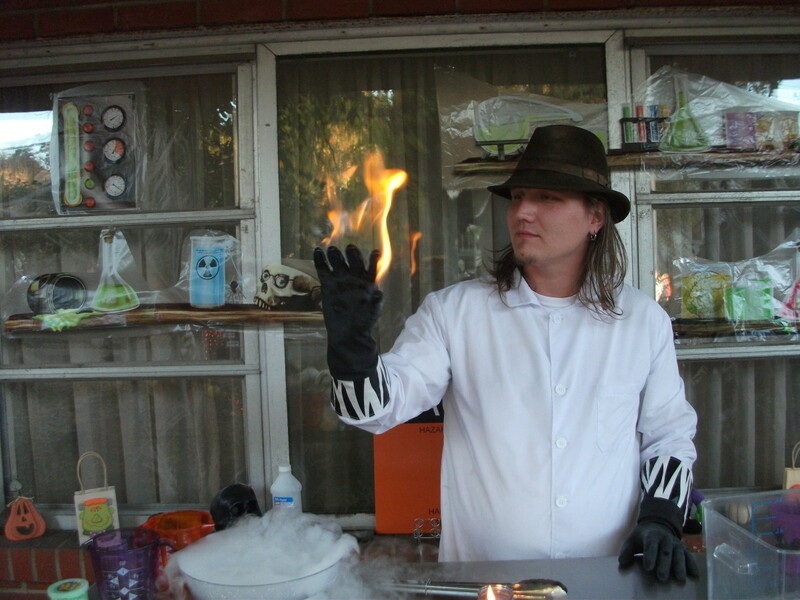 He joined Ringling Bros. and Barnum & Bailey Circus for three tours with the Blue Unit (Dragons, Legends and Out Of This World). 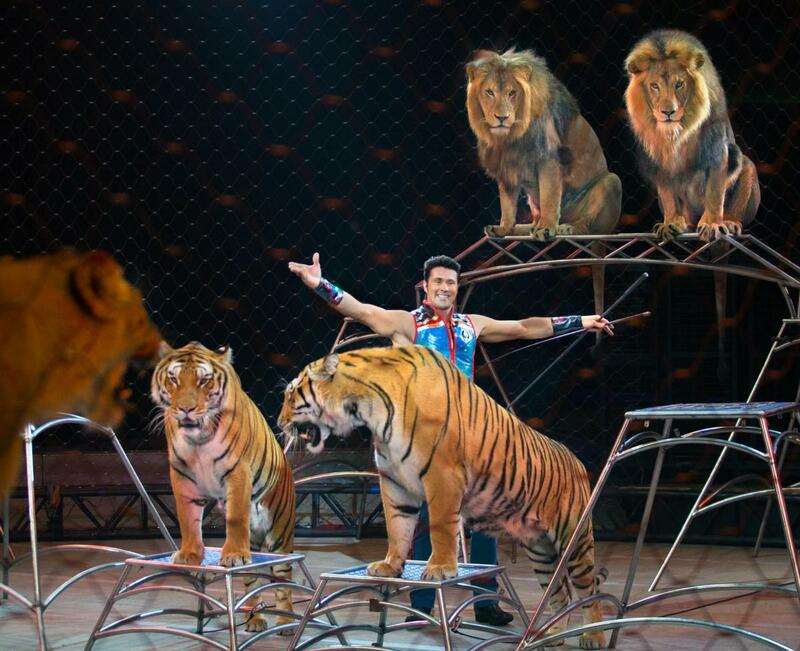 Lacey and his big cats, crew, and lovely wife (Katie Azzario-Lacey) are now in Europe; performing in Germany. “We are settled in and the cats are perfect,” says Katie. "Our circus life is quite normal for us." After returning to Europe, Alexander Lacey spent weeks performing with his lions and tigers in Lille, France and Heilbronn, Germany. The Laceys are with Circus Charles Knie in Germany (now through November). In addition to assisting with the big cats, Katie Azzario-Lacey is the featured vocalist for the show. They will perform with the Offenburg Christmas Circus (in Germany) December 19, 2018 through January 6, 2019. Alexander Lacey is happy to be back in Europe, but, he says, he does miss the United States. “I appreciate everyone’s good wishes and the great times I had with my Ringling family." 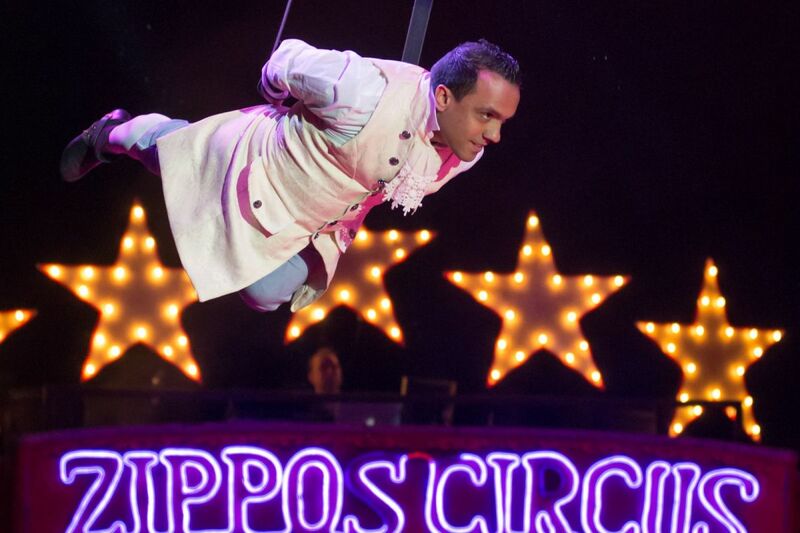 The Flying Tuniziani joined Ringling Bros. and Barnum & Bailey Circus for the Legends show, starting in 2014. Star trapeze flyer Ammed Garcia Tuniziani is a third-generation circus performer; the youngest of the five Flying Tuniziani brothers. Ammed’s wife (Estefani Evans) also performs with the troupe. With Ringling Bros., Ammed Tuniziani did what only one other flyer had ever done (at that time); turn quadruple somersaults into the arms of his catcher (Adriano De Quadra) – both in practice and performance. (Tuniziani’s mentor, Miguel Vazquez, completed the quad many times throughout his long career. Other flyers are now throwing quads, as well). 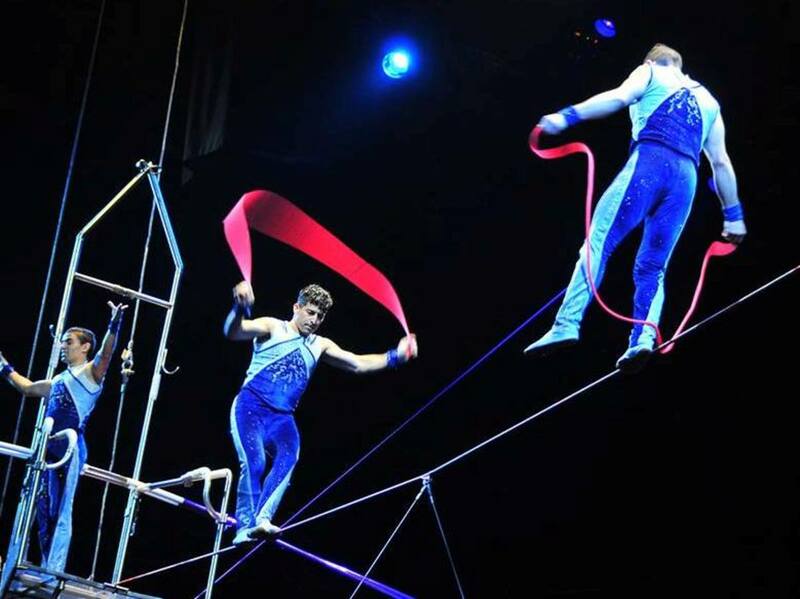 It was the year 2000 when nine-year-old Venezuela-born Ammed Garcia Tuniziani began performing with his brothers (at Circos Hermanos Vazquez in Mexico City). 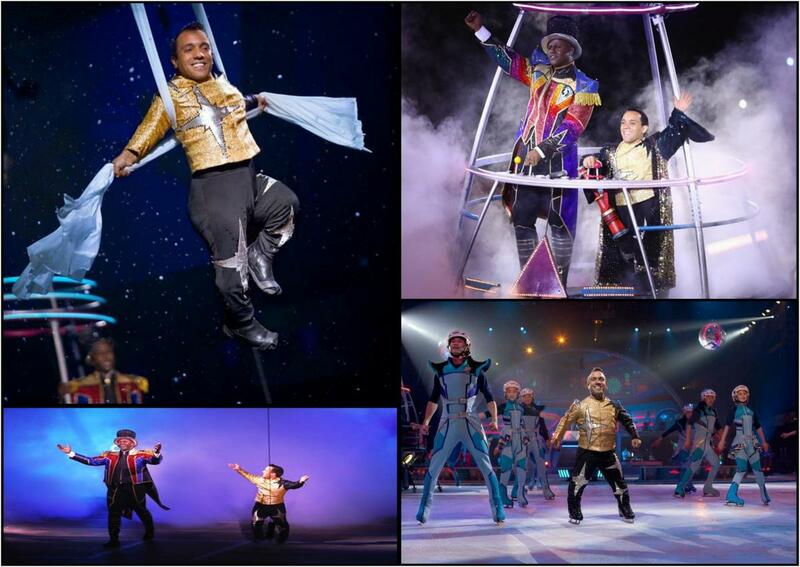 Before their years with Ringling (2014-2017), Ammed and the Flying Tuniziani worked with a number of shows around the world and in the United States, including: Cirque du Soleil, Circus Vargas, James Christie Cole, Royal Hanneford and Circus Circus Casino (in Las Vegas). Shortly after the Ringling circus announced its closing, Ammed Tuniziani told me he was working out the details for appearing with the Big Apple Circus (USA). Ammed and the Flying Tuniziani are doing what they do best. “I loved being with Ringling for the Legends (2014-2016) and Out Of This World (2016-2017) tours,” Ammed Tuniziani told me. “We all did, and I will never forget that moment when I first hit the quad in performance; I flew back to the platform … everyone was cheering and excited. "Now we are so happy to be with Big Apple,” he continued. "We have doubled the number of performers in our act, and are having a great time. Our 2018-2019 season is underway. 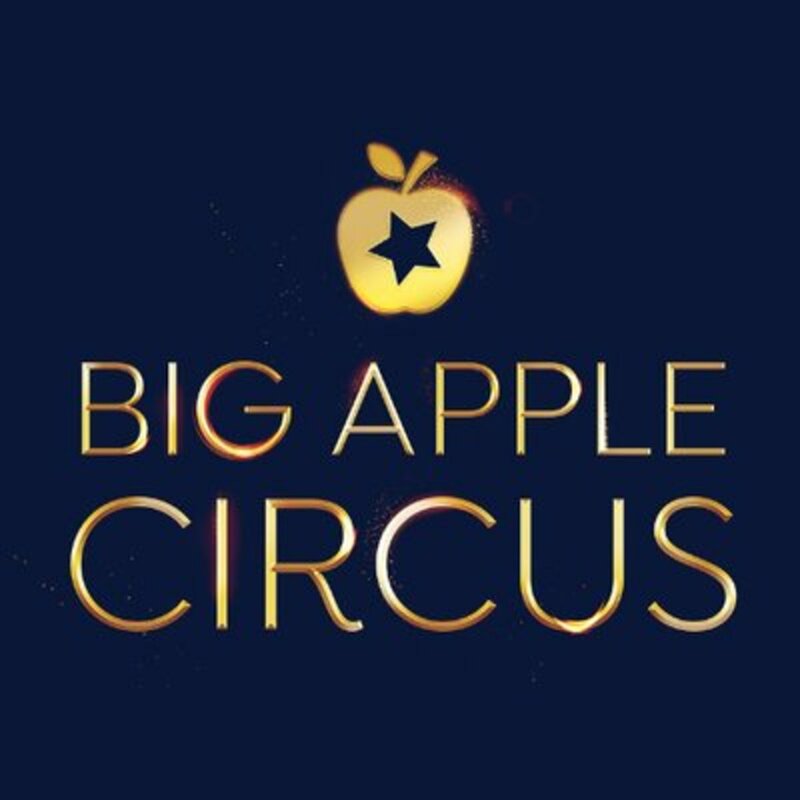 Big Apple Circus was founded in 1977 but ran into financial troubles which forced it into bankruptcy in 2016. 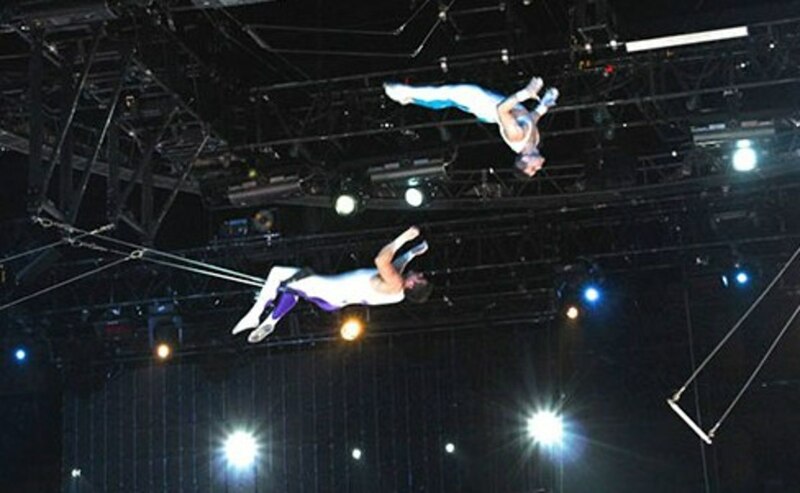 Under new ownership, the circus performed its autumn and holiday seasons in New York’s Lincoln Center; it has since toured areas of the East Coast. After a summer hiatus, the show will go on in the fall of 2018 and into 2019. 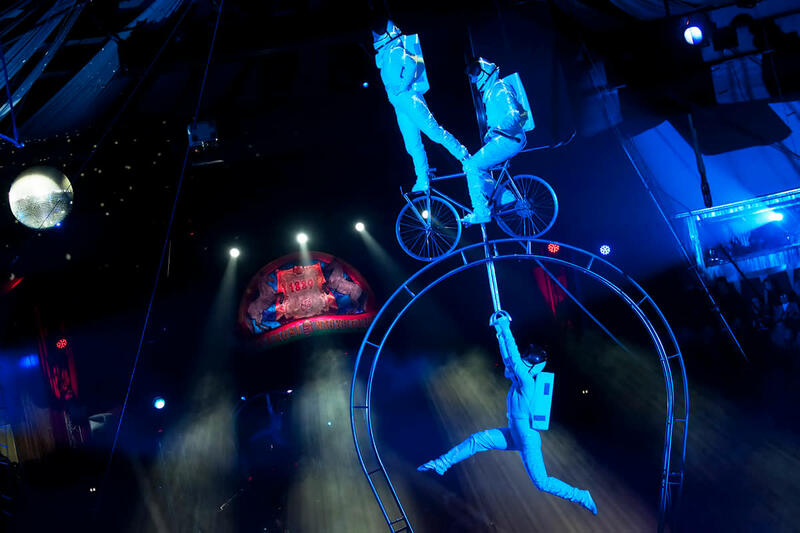 Visit Big Apple Circus.com for touring information. With a circus background that includes clowning, trampoline, and the flying trapeze, Benny Ibarra loves to dance on the Pendulum of Steel; a 35-foot long metal structure that weights about 16,000 pounds. 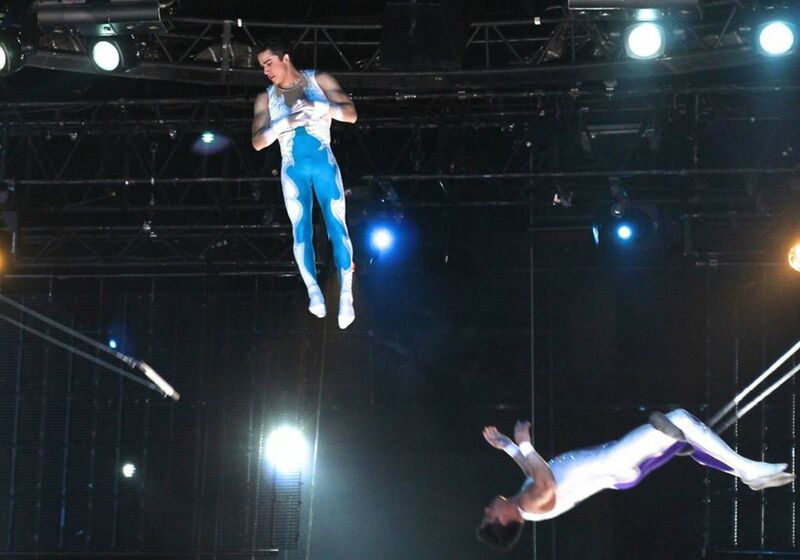 After stints with the Royal London Circus in China and performances in Taiwan, Mexico, Asia, Africa and Europe, Benny Ibarra brought his aerial talents to the Greatest Show On Earth. 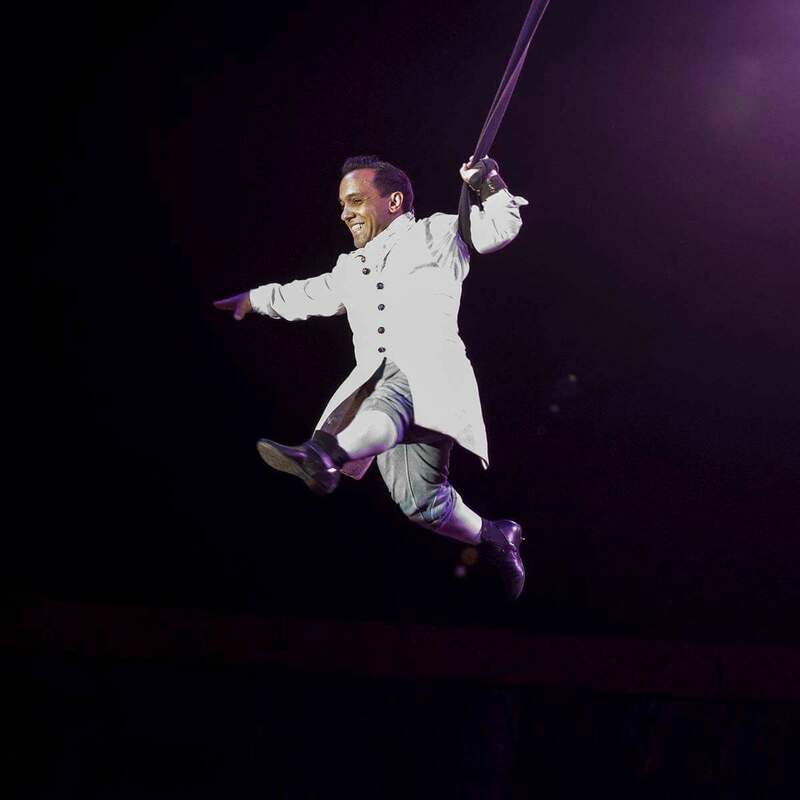 From 2014 until the Ringling Bros. and Barnum & Bailey Circus closed in May of 2017, Ibarra showcased his dangerous and “Xtreme” athleticism to audiences two or three times a day – without a safety net below. The wheel stands 30 feet in the air; Ibarra’s performance included skipping, tumbling, spinning and jumping rope. What has happened after the show closed? “When the Ringling show closed, I thought I would be in Spain with El Gran Circo Mundial – I signed that contract just after the announcement was made. But the owner of Gran Circo Mundial went back on his word and did not honor the terms of our contract, which caused me some problems." "I've been staying busy and am now planning some vacation time with my wife and children," Benny Ibarra told me. "After that, I'll be headed to Europe; probably France or Germany. I have not signed on with any particular show yet but we'll see what happens." Like most of us who love animals, Hans Klose is “trained” by his pets. 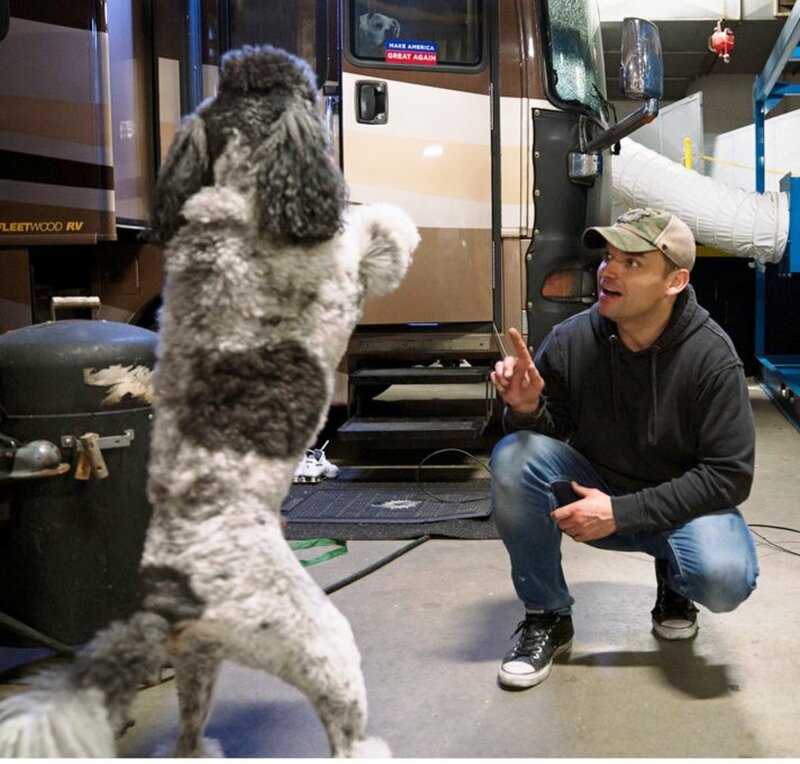 The true stars of the act are poodles, terriers and pigs. In addition to the dogs (Fox Terriers, poodles, a Great Dane, Australian Shepherd and mixed breeds), the Klose menagerie features a couple of 700-pound pigs. The pigs learn tricks well, says their trainer, but he leaves the hoop-jumping feats up to the dogs; they can dive from 16 feet up, do black flips and walk on hind legs. 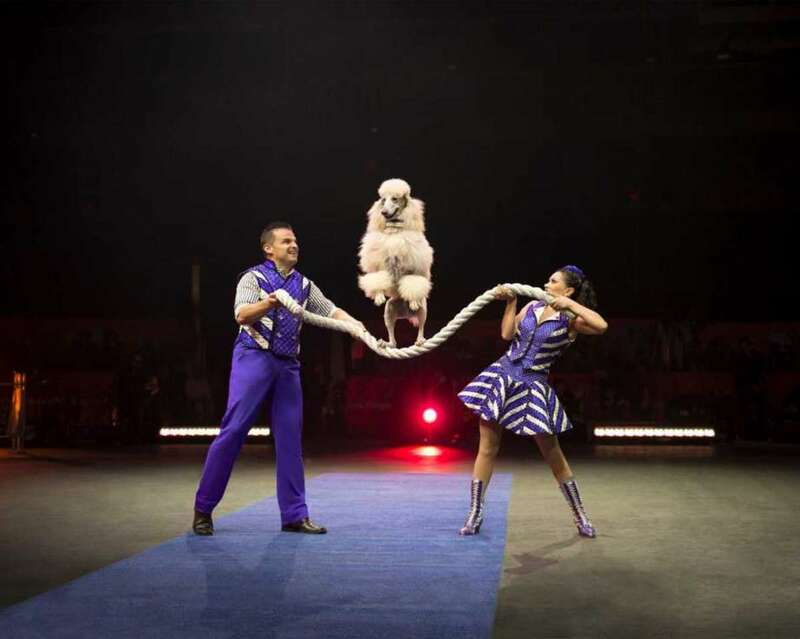 “We were at the Utah State Fair (in the fall of 2017, along with former Ringling star daredevil Bello Nock) and we are now doing independent contract work with the dogs,” Hans Klose told me. 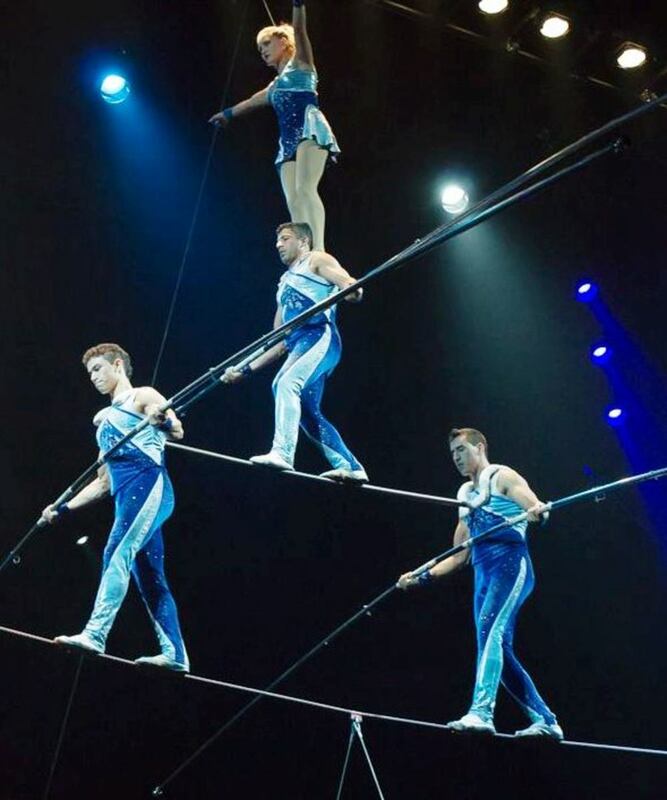 “We had independent circus dates this winter, mostly in Pennsylvania." 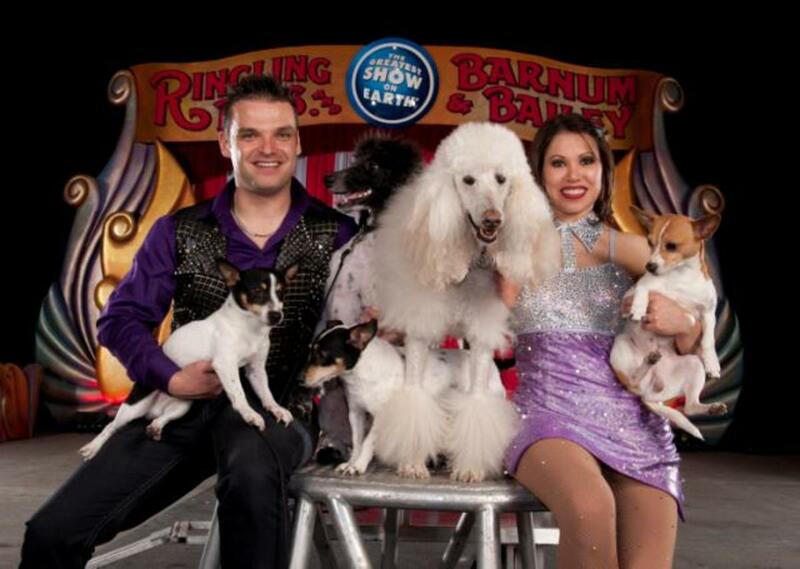 Hans and the Klose K9s are performing at Circus World (in Baraboo, Wisconsin) for the summer, 2018 season. 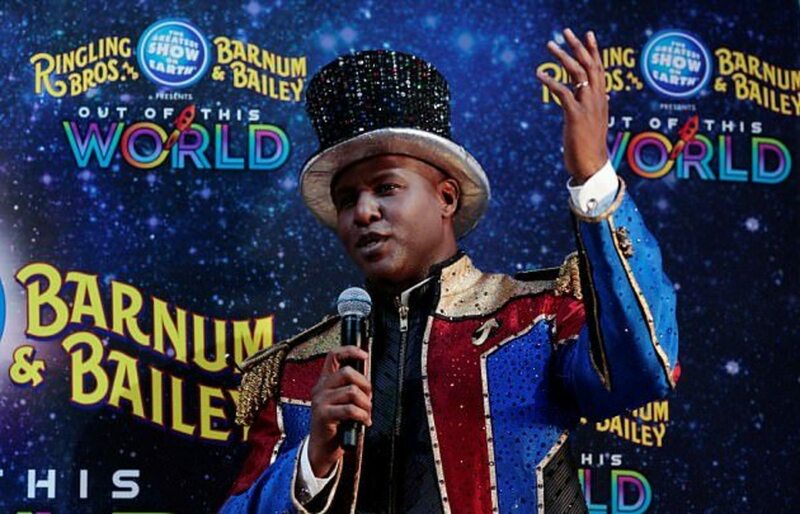 Big Top Voice Johnathan Lee Iverson joined Ringling Bros. and Barnum & Bailey Circus in 1998 at the age of 22. 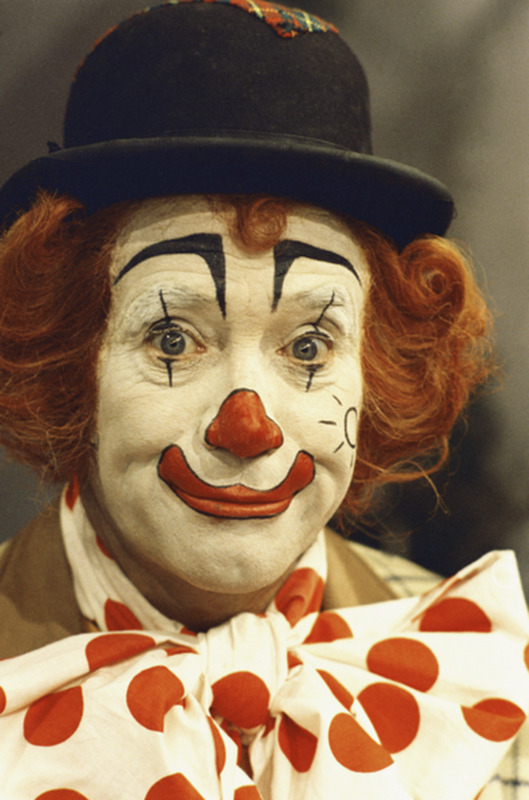 He met his wife (Priscilla) on the show; they lived on the circus train with their two children. “Life after Ringling Bros. and Barnum & Bailey has been as I expected,” Johnathan Lee Iverson recollected. “After the show closed, my body was tremendously tired and I really just needed to rest and relax – to simply enjoy life as is, without the worry of what’s next. So, I did just that. Then, I spent several months as was the Artistic Director for a performing arts organization in Orlando, but It wasn't something that would work out for the long run. Now, I am with Opera Orlando." Johnathan Lee Iverson starred in two shows with Opera Orlando (in Florida)' playing android lover "Joe" in The Companion, and "Klingon Selim" in Star Trek: Abduction. For more information on other performances, visit Opera Orlando. By the way, Johnathan Lee Iverson was recently an "answer" on the television game show, Jeopardy! Of course, we all know what the "question" was !!! Johnathan Lee Iverson met the love of his life (beautiful Priscilla Costa) during his second tour with Ringling, at the end of the year 2000. The Brazilian-born Priscilla was a dance troupe captain and translator when she joined the 131st edition of the show; she became the production manager in 2014 at the start of the Legends tour. Johnathan and Priscilla were married in 2001 after a morning show in Chicago. After Ringling, Priscilla took a short engagement as Stage Manager at Sea World (in Orlando). Currently, works with Sea World and she is teaching ballet/lyrical jazz dance with former Ringling aerialist/dancer Joyce Lemos (at Joyce Lemos Productions). "I love dance, and it's a perfect fit," says Priscilla. The Kanat Riders are as bold as any superheroes could ever be – jumping upon, hanging upside-down and crawling underneath galloping horses as they charge around the ring. 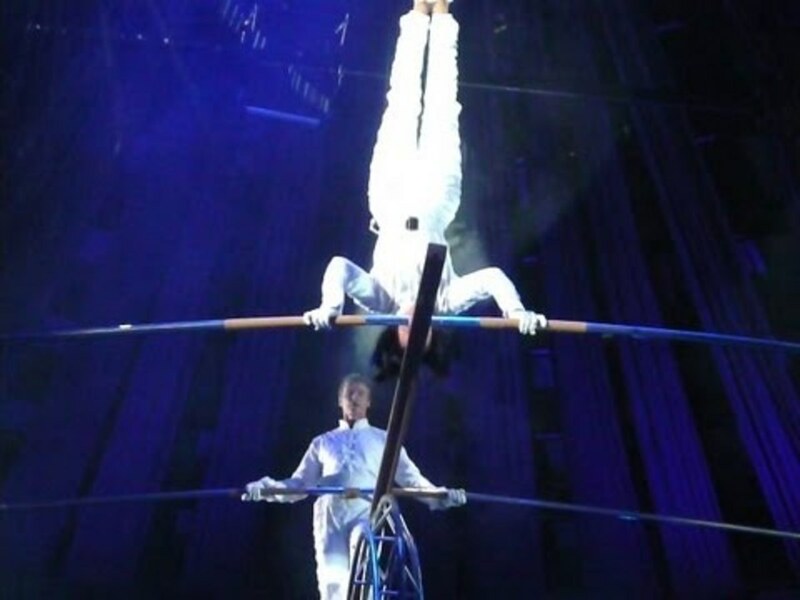 Kanat and Tatiana Tchalabaev are originally from Kazakhstan; they lead an international troupe of riders (from Russia, Kyrgyzstan, Mexico and Uzbekistan) in their quest to create one of the most daring acts in the world. The five-person pyramid, “dead man drag,” and underbelly climb are just a few of the precision feats in this enterprise. The troupe performs in a specially-designed 46 foot (diameter) ring on top of horses moving at galloping speeds of up to 25 miles per hour. In the years before coming to Ringling, Tatiana Tchalabaeva was a gymnast/acrobat with the National Team of Rhythmic Gymnasts; Kanat Tchalabaev trained at the Moscow Circus School. 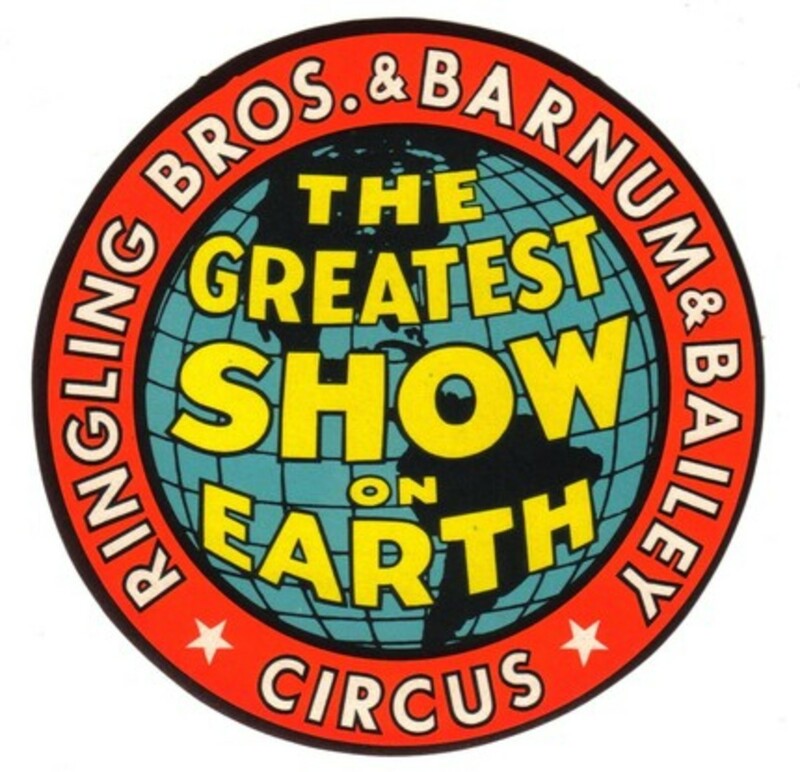 The Ringling circus became their home in 1991. “We love our beautiful horses and we all look after them,” Tatiana says. “Proper care for these animals is so important … to exercise, feed, brush and just interact and bond with them, it is love. Every day we work and practice with our gorgeous babies – they know and love us, too." With the Ringling show now closed, the Kanat Riders are performing solely with UniverSoul Circus. 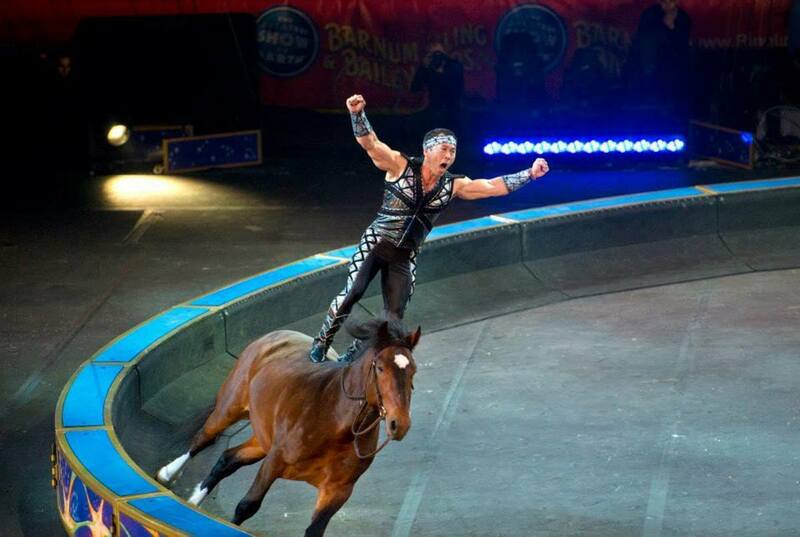 “We loved being with Ringling,” says Kanat Tchalabaev, "and we love UniverSoul. Actually, we had two troupes; our riders performed with both shows for a number of years (one troupe with Ringling and another with UniverSoul). 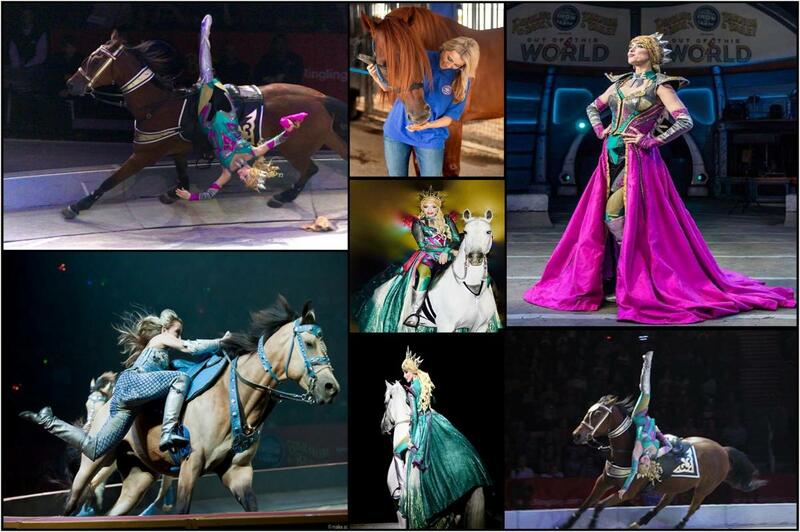 Some of our riders that were with Tatiana and me at Ringling are now with us at UniverSoul." 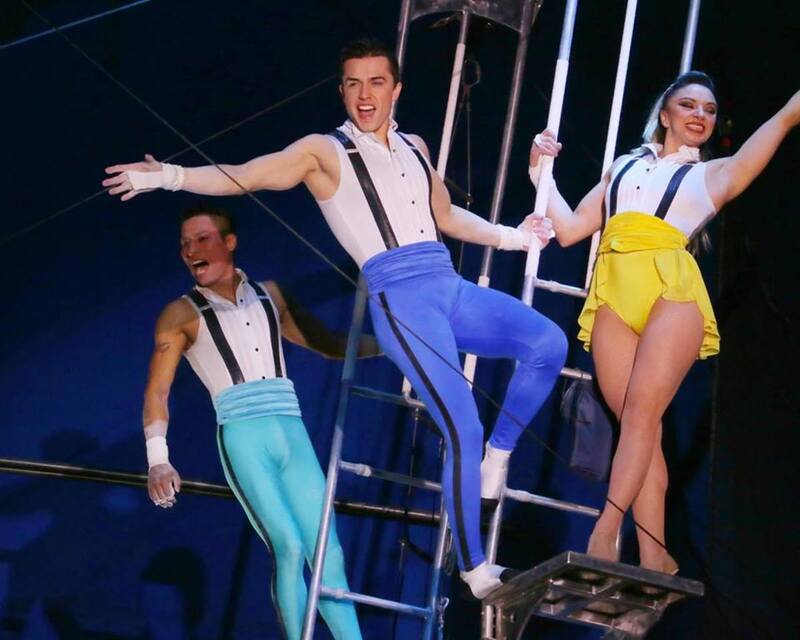 "Yes, we truly love and will miss Ringling," Tatiana added. "It was our home for so many years; it was more than just a show, it was our life. We have so many friends and wonderful memories." Tatiana and Kanat Tchalabaev live in Florida, continuing to train horses and riders. 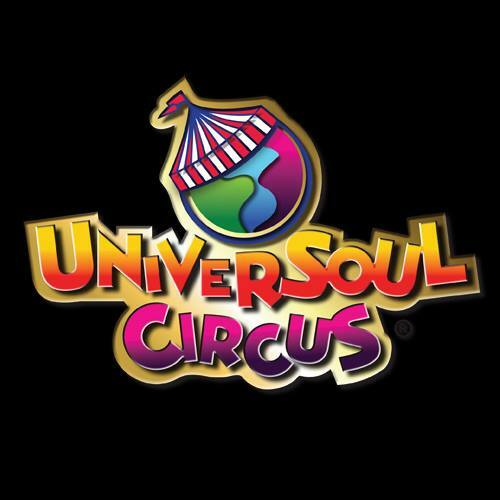 UniverSoul Circus is always adding to its schedule; check out their website or Facebook page for ticket information. 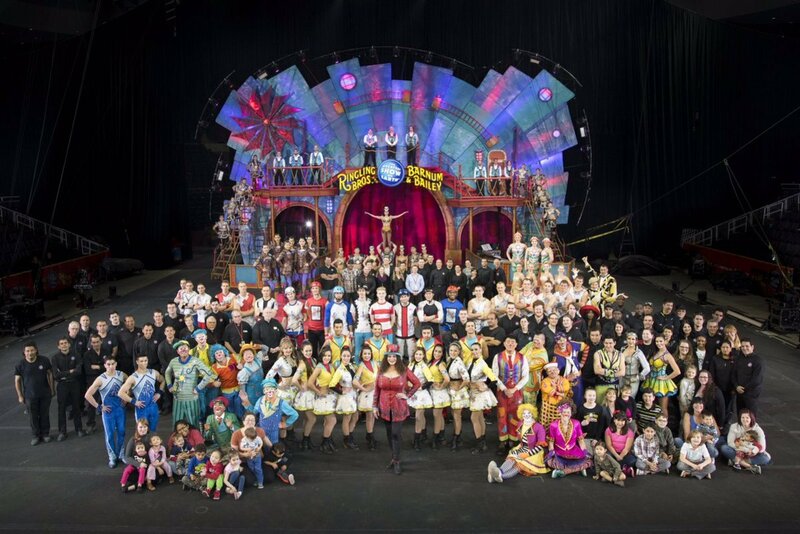 “We never say goodbye in the circus life,” Ringling Bros. and Barnum & Bailey’s Kristen Michelle Wilson told the final audience of Circus Xtreme on May 7, 2017. 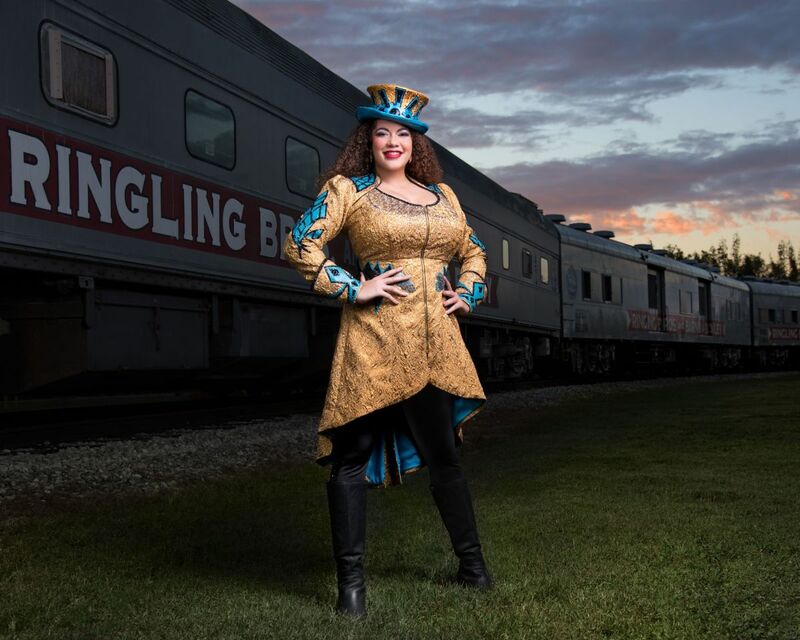 Kristen Michelle Wilson became Ringling’s first and only female ringmaster (ringmistress?) earlier this year. 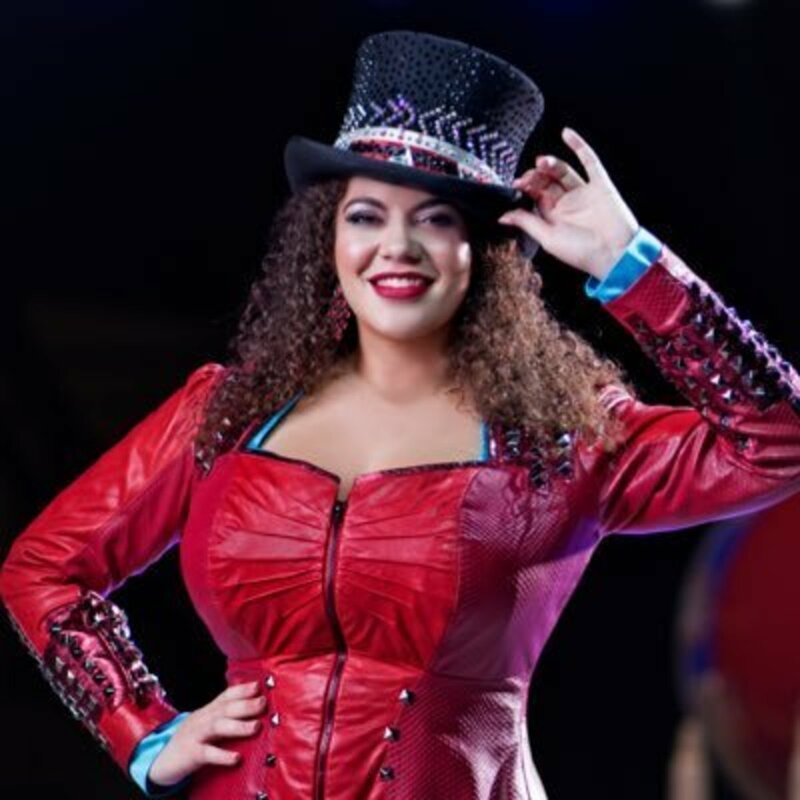 With a history of singing for stage shows, rock bands, commercial producing and marketing/production assistant – as well as host for a television program at her local station (in Tallahassee, Florida) – Kristen Michelle Wilson found out about Ringling’s search for a ringmaster from a man who once held that job, in the 1980s. Kristen Michelle Wilson got the job. 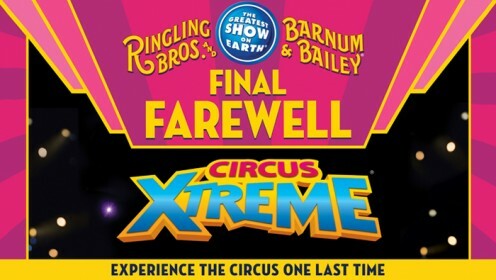 Then, a few weeks later, the show announced its impending closing (with the final presentation of Circus Xtreme to take place on May 7th). Since then, Kristen has been performing in nightclubs and restaurant shows, around Orlando and other areas of Florida. "in my time post-circus, I've been gigging, performing corporate & private events all summer & fall. I've been traveling all across my state & our beautiful country, exploring new places & falling freshly in love with old ones. I've been spending rare, precious time with family & friends in a way my career hasn't afforded me in years. I've been figuring out my own personal life & gearing up for the next professional challenge. I am on Facebook, so you can find me there; I’ll always have lots to say!" "This Sunshine State gal up & became a Volunteer! I moved to Pigeon Forge, Tennessee and am performing at Dolly Parton’s Celebration; a spectacular dinner show at Smoky Mountain Adventures," says Kristen. "I’m absolutely loving it. This show, cast and crew are world-class and the area is gorgeous. Life is good." 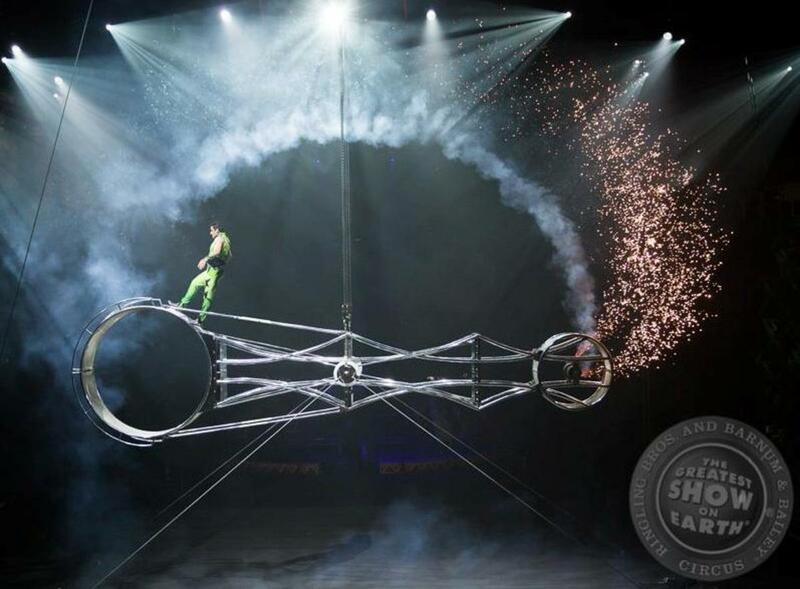 Whether he is sky walking, inside the “wheel of death” or driving a motorbike on the high wire, Laszlo Simet keeps an audience’s attention. 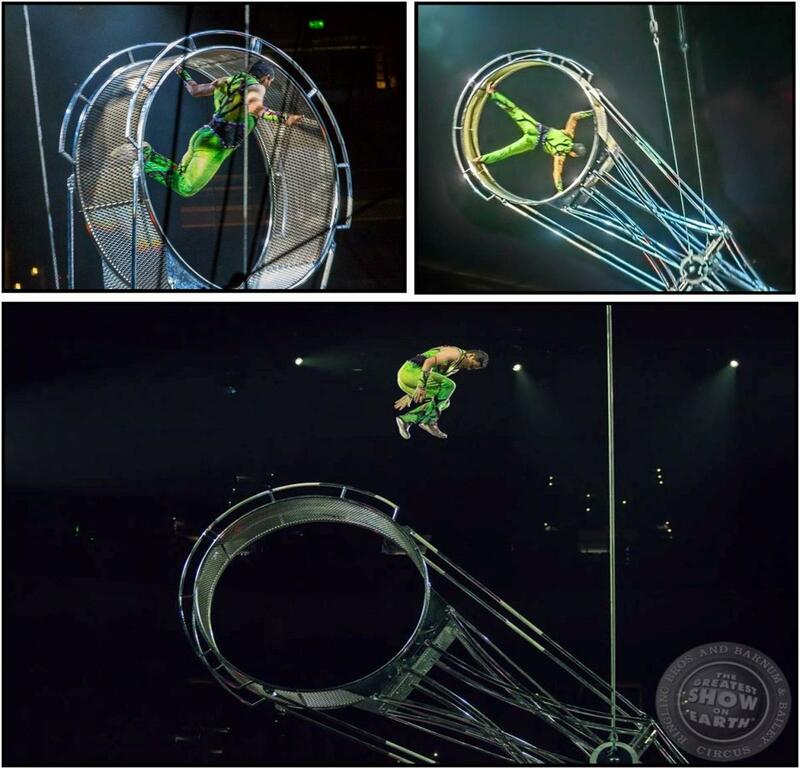 Before joining Ringling Bros. and Barnum & Bailey Circus for the Out Of This World tour (2016-2017), Laszlo walked the wire in countries around the world, including those throughout Europe, Taiwan, Canada, South Africa and then-some. Olga Simet originally learned aerial rope performance at the famous Moscow Circus School. 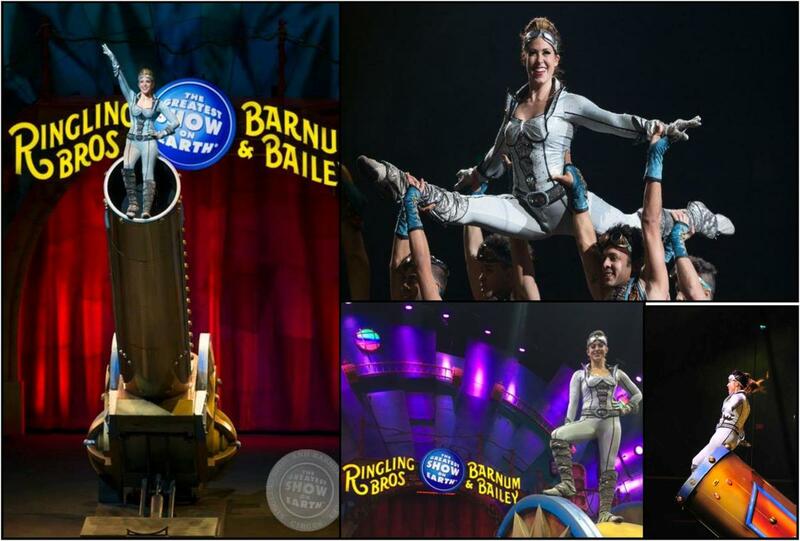 She and Laszlo work together on sky walks, the wheel, motorbike, and more recently, a revolving wedged-shaped apparatus in the spaced-themed Ringling Bros. and Barnum & Bailey presents Out Of This World. Perched upon her husband’s shoulders, Olga did a headstand as Laszlo rode his bicycle. Partner Diana Bakk added to this specialized performance. I asked Laszlo about his circus heritage. “My parents were high wire artists and I always wanted to be one, so I started practicing when I was about 10 years old,” he says. “My first job as a high wire artist was in 1978 – it was with the Hungarian State Circus show in Czechoslovakia. One of my idols was Manfred Doval; he worked with the Budapest Capital Circus. I watched him as much as possible. 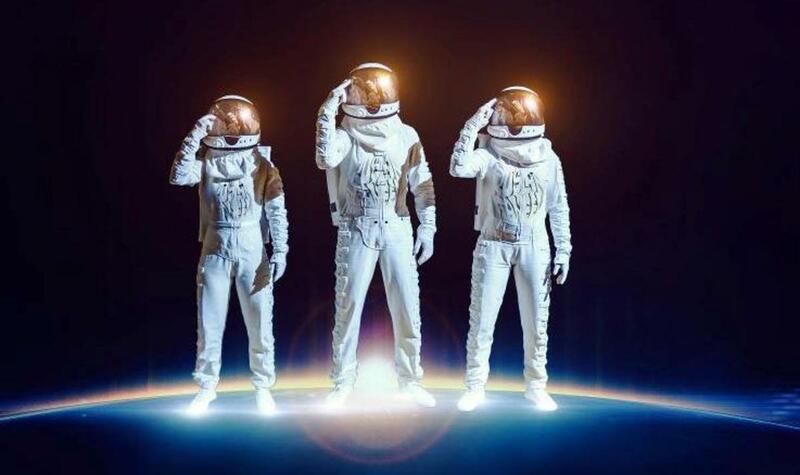 It was in 2011 when Laszlo Simet began developing the act that eventually became the “space walk.” (An old Soviet circus movie gave him the idea for this act, originally invented in the Soviet Union around 1940). In 2012, Laszlo Simet walked on a 16-millimeter wire at the closing ceremony of the London Olympics; 45 meters straight up. 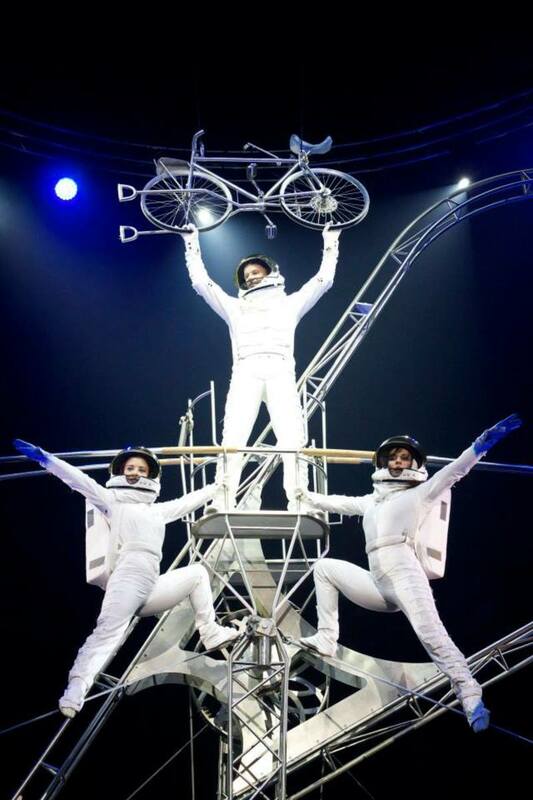 Laszlo Simet, his wife Olga and aerialist Diana Bakk first presented their astronaut act in January of 2013. 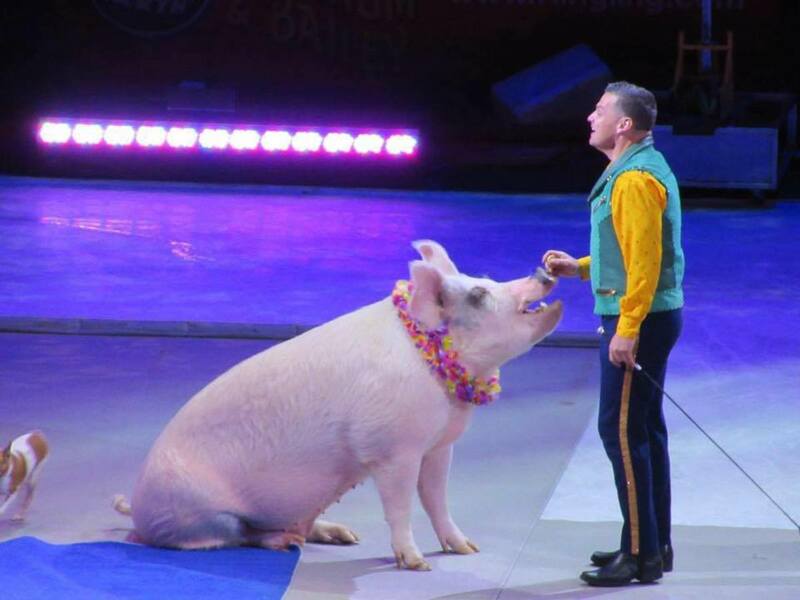 They won several coveted circus prizes over the next few years, before signing on with Ringling Bros.
After the Ringling Bros. show closed, Laszlo Simet says it wasn't an easy time for the troupe. "After Ringling, I had to reshuffle my group with all new partners (Olivia Kapitany and Linda Carannante); it took the whole summer. My wife (Olga) wanted to stay at home with our children, and our original partner (Diana Bakk) decided to carry on with a solo career. "Then, in September (2017), we started a three-month tour in France. After that, life got very busy. We had a Christmas show in Ahoy, Holland, performed at the Monte Carlo festival in January and then at the Albacete festival in Spain. I am very proud to say that we won the Gold Prize in Albacete. 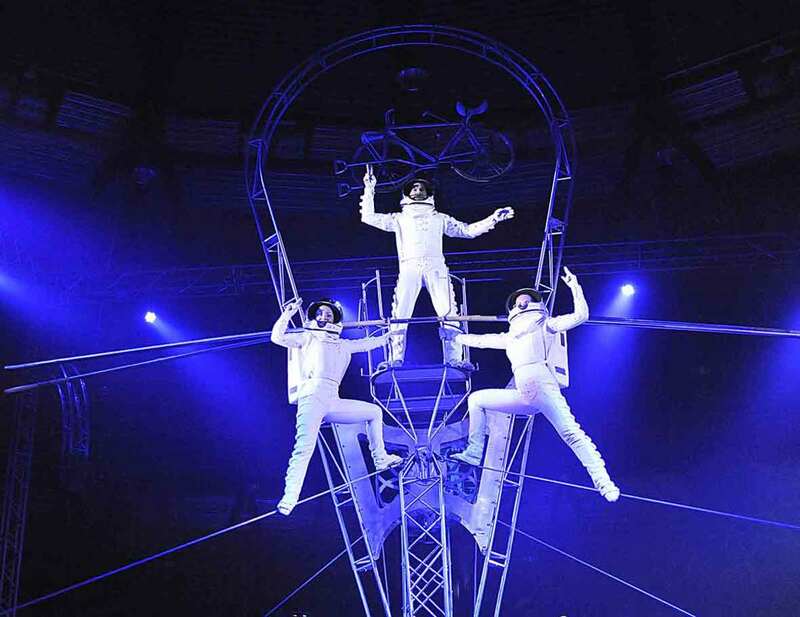 "Currently, we are touring with Circus Arena in Denmark (until September). Contracts are signed for La Grande Fete Lilloise du Cirque (from October to December) then it's on to Circus Roncalli for Christmas. Looks like a nice tour ahead, we are looking forward to it." “Danger” isn’t just another word for the Danguir high wire troupe of Ringling Bros. and Barnum & Bailey’s Red Unit, but it certainly describes this daring act. Mustafa Danguir (or Mustafa Danger, as he prefers) is from Tangier, Morocco. 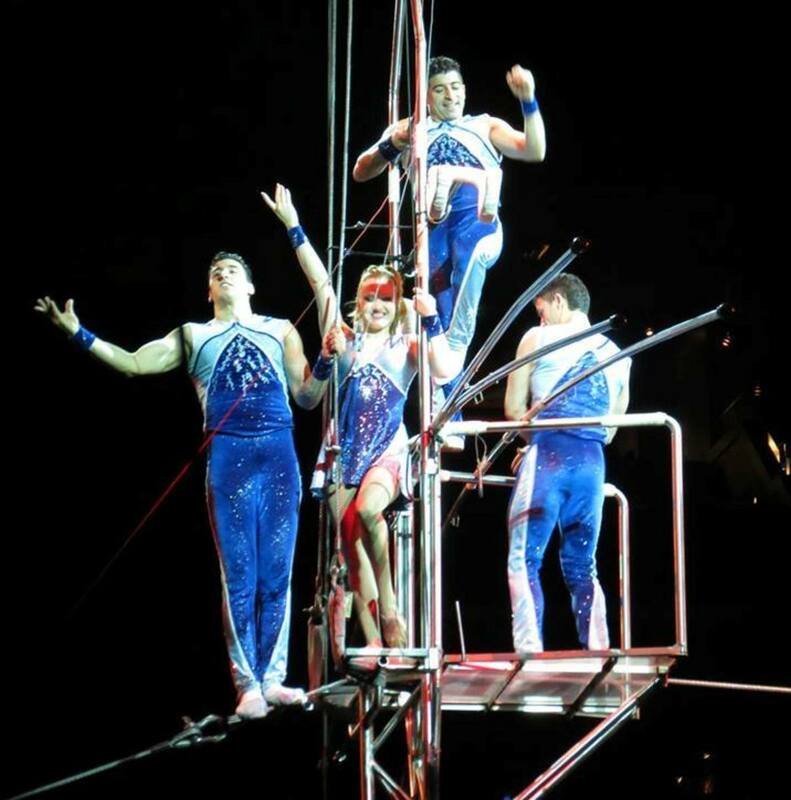 Before developing his own high wire act, Mustafa’s personal performance history includes tours with European circuses and the Greatest Show on Earth; including the seven-man pyramid feat with the Guerrero troupe at Ringling (from 1996 to 1999). Now with his own act, Mustafa and the Danguir troupe showcase their talents by jumping, dancing, leaping and climbing the pyramid on a wire that is 35 feet above the ground; no net and no safety cables. 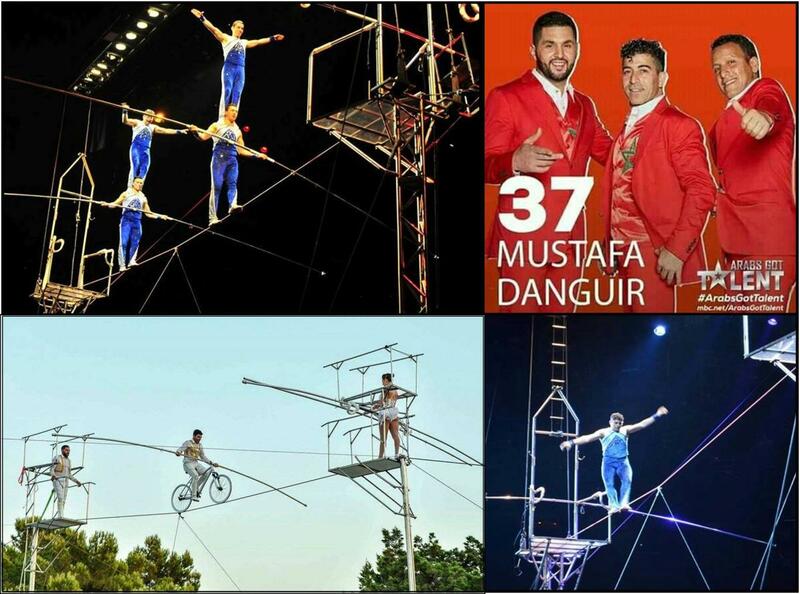 In 2010, Mustafa and the Danguir high wire troupe became Ringling stars — thrilling audiences until that last performance on May 7, 2017. 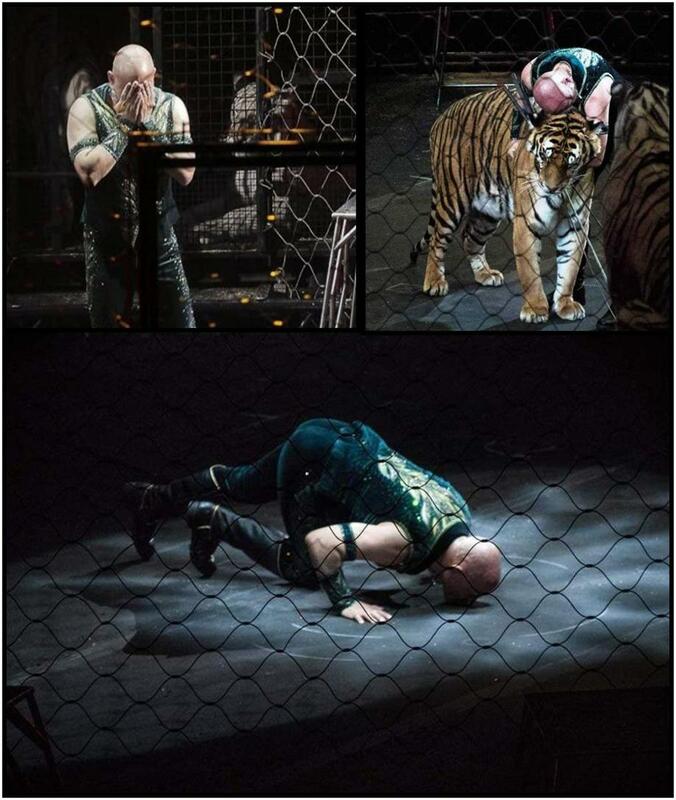 After starring with Circo (Circus) Úbeda in Spain, Mustafa Danguir is now performing with Circus Krone, in Germany. Before coming to Ringling Bros., Mustafa Danger crossed the Santiago Bernabéu soccer stadium in Madrid, Spain. At more than 540 feet in the air, he walked a mile on a wire between a hotel and church in Benidorm, Spain. It was at 1,150 feet that Mustafa crossed between two mountains in New York. Mustafa Danger says his dream is to cross the Seven Wonders of the World on the high wire. “There is always tomorrow,” he says with a wink and a smile. "Nitro" Nicole -- Blast Off! 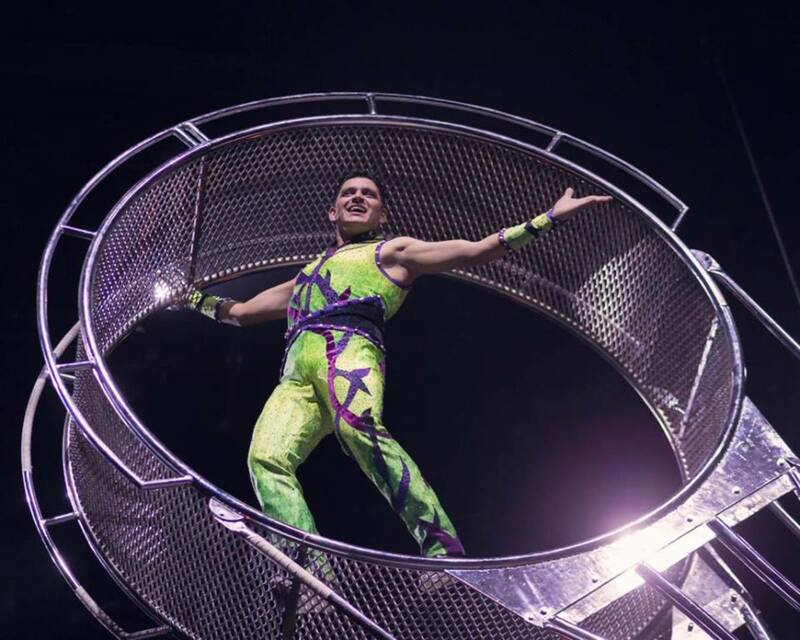 The world has an open path for Nicole Sanders, billed as “Nitro Nicole” with Ringling Bros. and Barnum & Bailey’s Circus Xtreme. 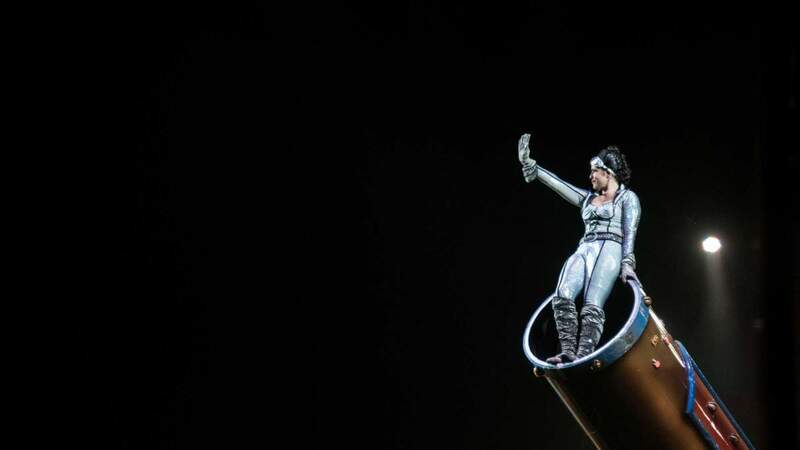 How does a lady who studied psychology, Spanish and ballet end up as a performing human cannonball? I asked Nicole to tell her story. ‘How did you transition from basic aerials to the cannon?’ I asked. “I was ending my season at Cole, and my friend heard that the cannon coach at Ringling was looking for another gal to train. I made some contacts and then had a message from the coach, asking if I was interested. 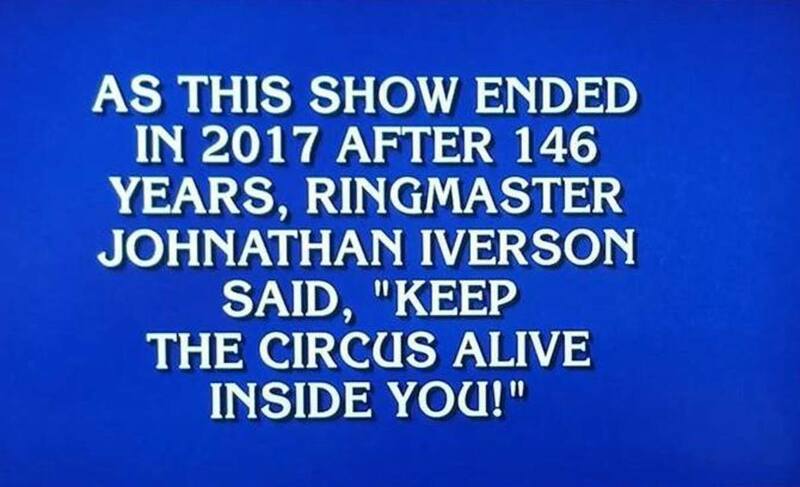 It was Ringling. Was I interested??? Yes!!! “They (Ringling) threw me into the show at the start of the season,” says Nicole. “I absolutely loved it! The train, people, show, talent, accommodations, legacy, performing … I was working for the Greatest Show On Earth. How cool was that! But when it ended, it ended. So now I am at an impasse in my life. I would love to do more circus jobs if I could. But the pay, accommodations, and season length would have to be right – and in circus you generally can't be that choosy. Still, I have to make a living so while I’m open to doing circus jobs, I have to do some ‘normal’ jobs to earn money, which is what I am doing." “Yes,” replied Nicole Sanders. “Soon I will decide which direction I want to go in – whether it is in instruction or fitness or grad school or some other option. The circus is always an option too, as there are many out there, still. "Nitro Nicole" is sharing her love for the aerial arts with students in New Orleans, and she works for Lululemon (an athletic gear and apparel company). "No matter what, I will always be performing and it is that love that inspires and drives me to share my gift," Nicole Sanders says with a smile. Brazilian-born Paulo Cesar Oliveira dos Santos can do just about anything. Ringling Bros. and Barnum & Bailey Circus producers discovered dos Santos, a man of small stature but dynamic athleticism and talent, a few years before he was able to join the Greatest Show On Earth. Paulo dos Santos began his career as an artist of Brazilian Capoeira – a combination of dance, acrobatics, music, and martial arts. 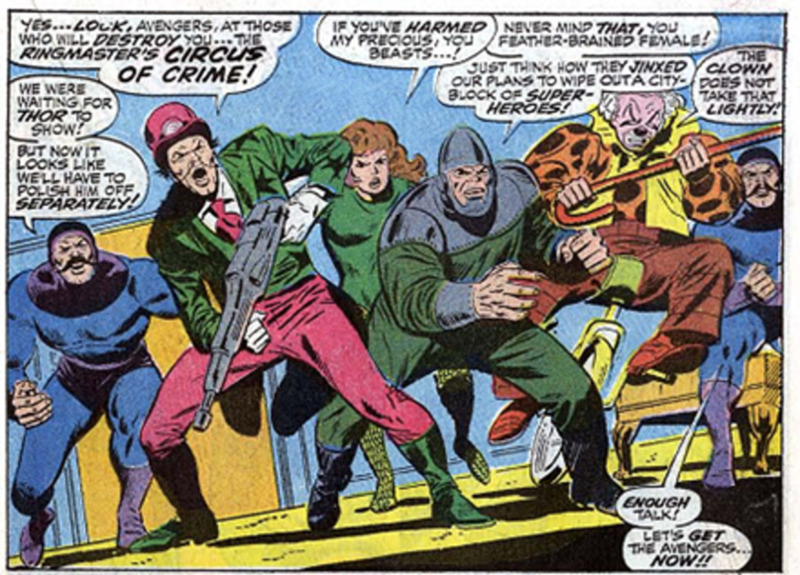 With Ringling, dos Santos worked alongside ringmaster Johnathan Lee Iverson in the Blue Unit. Together they fought off dragons, found mythical legends and hunted for stolen circus acts and then-some; always coming out victorious. 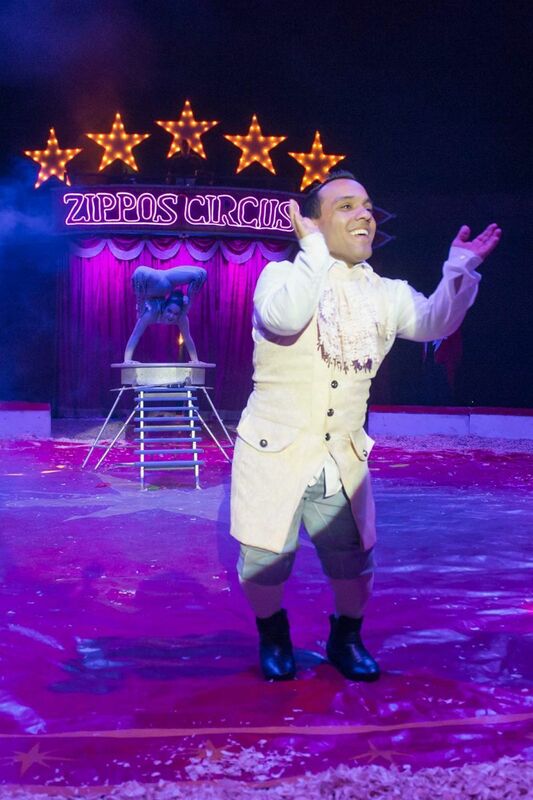 Paulo is now working with Zippos circus in England; he is an aerialist, comic clown and acrobat – similar to what he did with Ringling. “Similar but different,” Paulo told me. “We have a wonderful show and I am so happy to be a part of it. 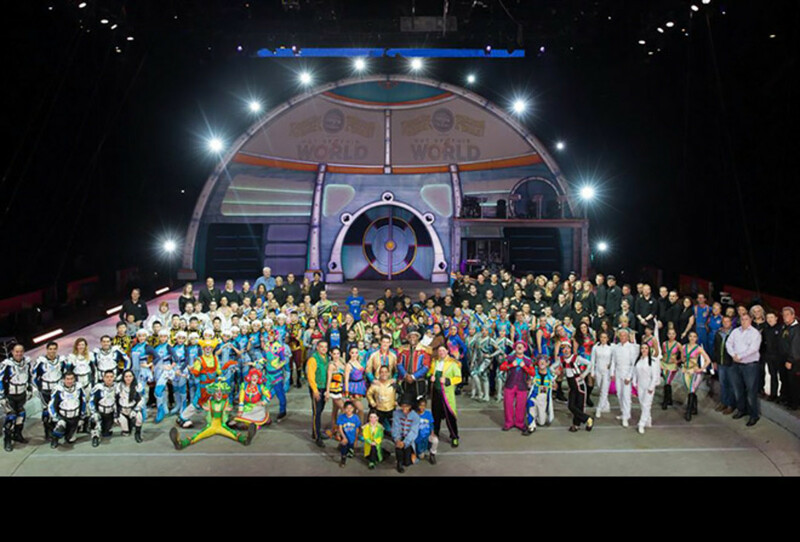 I also want to thank the Feld family and Ringling for everything; it was an amazing experience, and I’ll never forget my circus family in the United States, and the people who came to see us every year. "I am still with Zippos," he told me. We have an amazing show and Mr. Martin (Martin Burton, the show's owner and Zippo the Clown) is a wonderful man to work for. Some of the children of different performers are now in the circus ring, and you can see the future of circus ... it is wonderful. I do a full act on the straps and acrobatic play with Totti the Clown. It is a lot of fun! "Also," Paulo told me, "I want to say thank you to Mr. Lacey (Alexander Lacey) for introducing me to the bosses at Zippo. It is just a wonderful place to be." 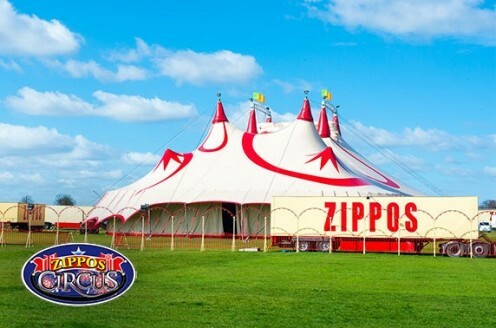 For more information about Zippos circus, visit zippos.co.uk. The company also has a presence on Facebook. 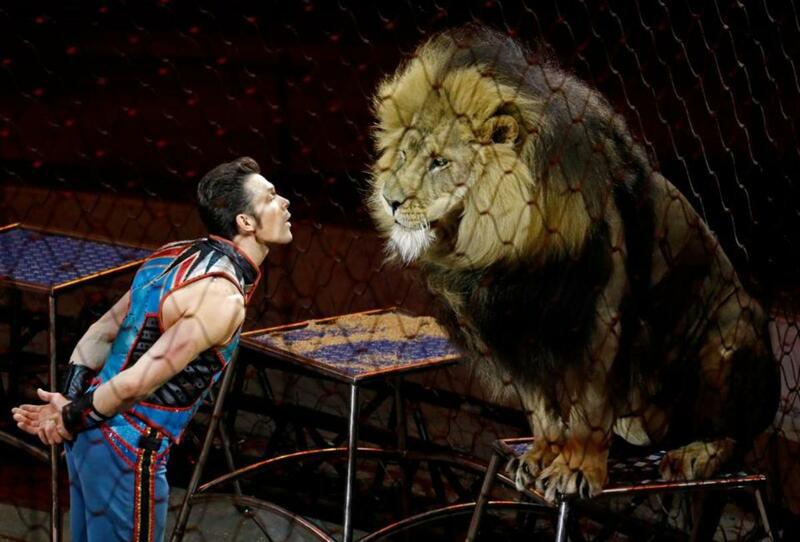 There wasn’t a dry eye in the house when Taba Maluenda hugged his big cats during the Red Unit’s last performance of Circus Xtreme in Rhode Island on May 7, 2017. 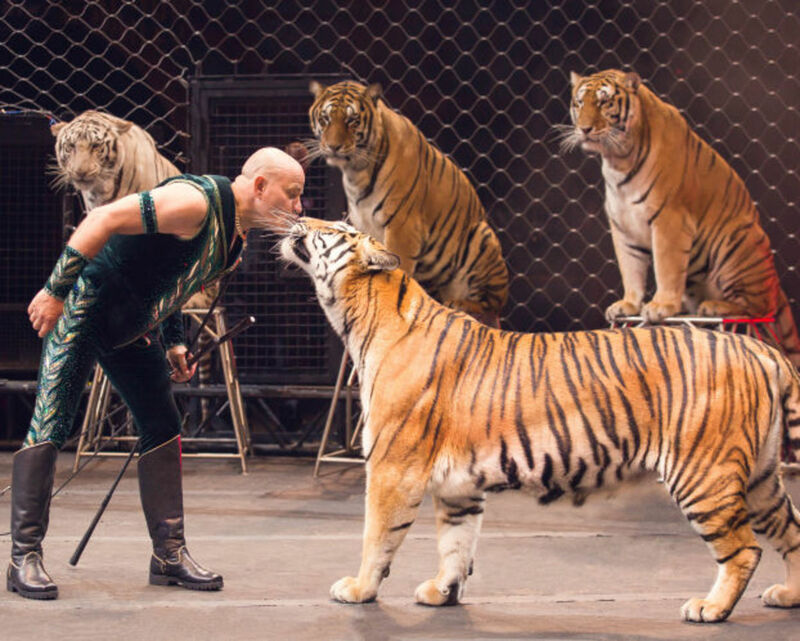 The animal trainer raised most of these tigers himself; having been with Ringling for 13 years. He thanked each tiger by name as they left the ring. Born in Chile, Tabayara Maluenda is a sixth-generation circus performer – he worked many jobs (including clowning, acrobatics and a stint on the flying trapeze) in his younger years. Taba’s love for the big cats came at age 13 after seeing a video of Ringling’s famed animal trainer Gunther Gebel-Williams. “That’s when I knew I wanted to work with animals,” Maluenda says. 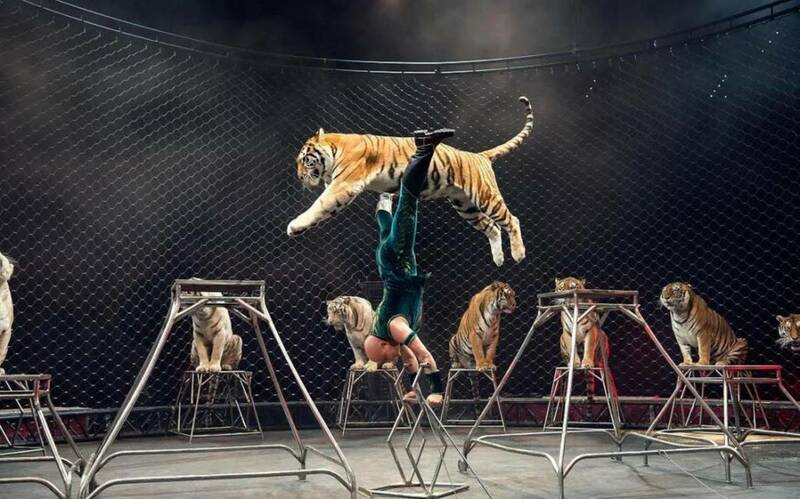 A couple of years later, Taba Maluenda began working with animals during circus shows in South America and Central America. 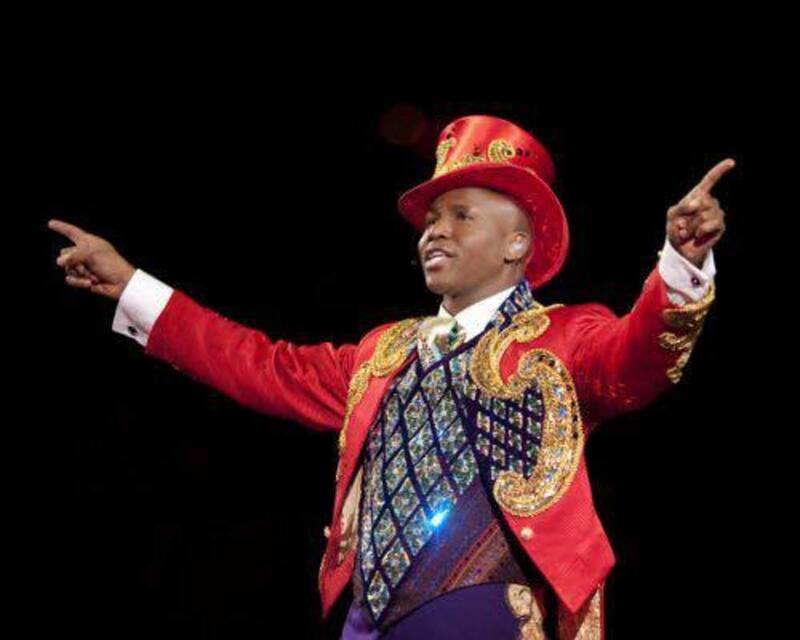 It was in 2004 when he joined Ringling Bros. and Barnum & Bailey Circus. 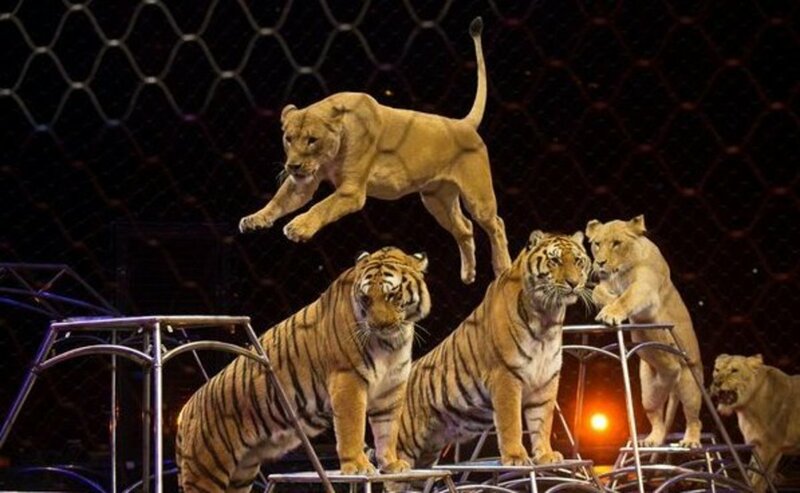 After the final performance of Circus Xtreme, ‘Taba’s Tigers’ (owned by Feld Entertainment) were sent to a big cat sanctuary. In the early months of 2018, Taba performed a mixed animal liberty act with Carden circus; camels, horses & ponies. But he later told me that he wasn't happy with the show, so he moved on. I have asked but have no word yet on Taba Maluenda's latest venture. The End. But Not Really. Ringling is closed but “circus” will last forever, in some shape or form. 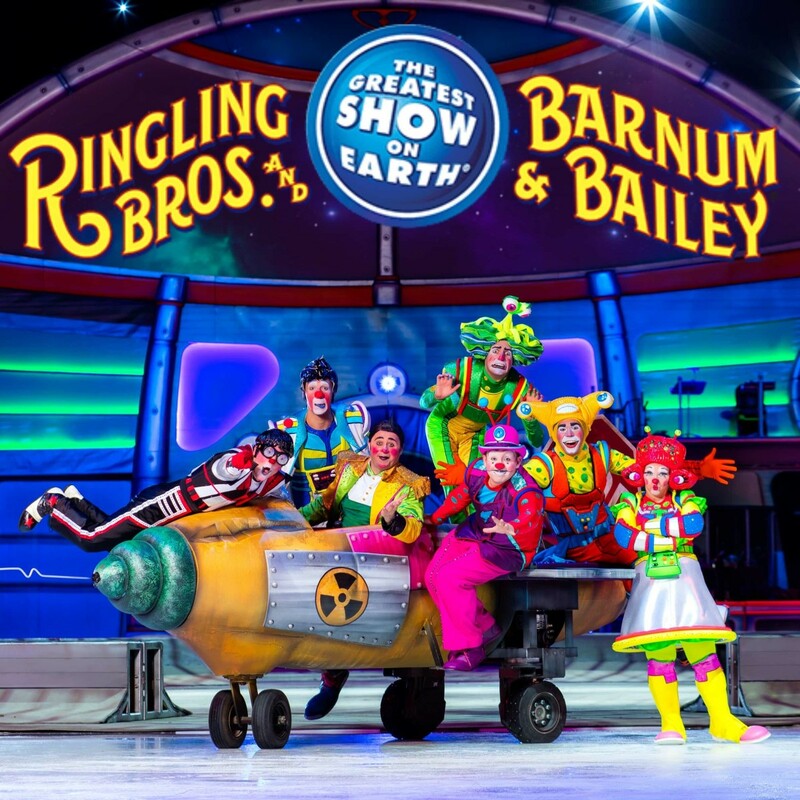 The artists from Ringling Bros. and Barnum & Bailey are moving in the direction that life will take for them; whether it is a circus in the United States, Europe or anywhere else in the world – or something completely different. Yes, in some way ... all your days CAN be Circus Days, if you want them to be. I really do believe that to be true because I have seen a number of circus performances since the closing of Ringling Bros. and Barnum & Bailey. The "smaller" shows are out there -- they are waiting for all of us. Great article. It's the end of an era. I wish them well.